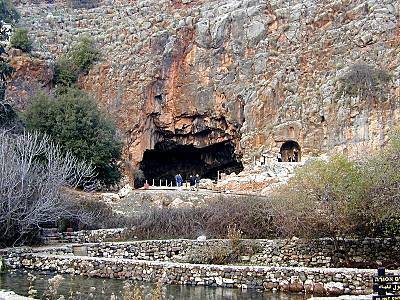 Jesus stood in Caesarea Philippi at a place known as the Gates of Hell, asking His disciples some incredibly important questions. 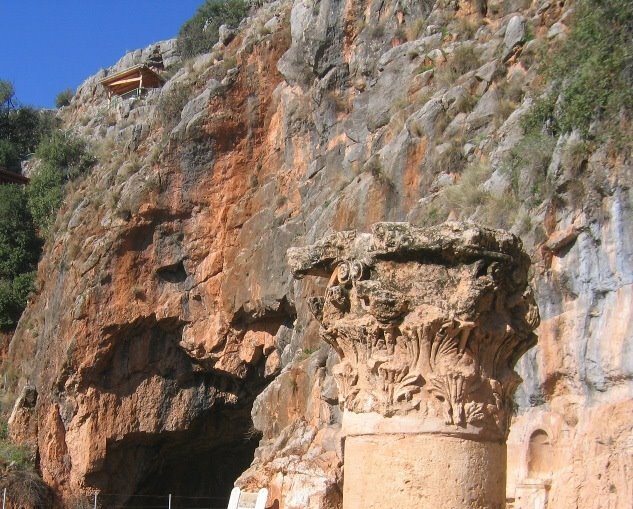 The Gates of Hell was a red, gray and black hill, a rock formation with ledges carved into it where the Greeks and Romans had placed statues to their pagan gods. Exiting the base of the rock formation was a river. It was here at this spot that Jesus brought His disciples to teach them some amazing things about Himself, about reality, about overcoming the forces of evil, and about the building of His church. When the disciples answered the question (v 14), what is significant about each of the people they mentioned? Who do people around the world say that Jesus is? Who do leaders in your nation say that Jesus is? Who do people in your community say that Jesus is? Who do your friends say that Jesus is? With His next question, Jesus was getting personal with His disciples. His first question got them thinking. The second stopped them dead in their tracks. They were speechless, everyone except for Peter. He answered the question with precision, clarity and boldness. He hit it right on target. He said to Jesus, “You are the Christ, the Son of the living God.” Yes! Yes! Yes! Jesus is the Christ, the Messiah, the one who came to take away our sins. He is much different than those false, pagan gods whose statues were displayed near the Gates of Hell. Jesus is the Son of God, literally God-in-the-flesh. He lived a perfect life, He took our sins upon Himself, He resurrected from the dead, He ascended into Heaven’s glory, and He draws people to saving faith in Him. Why is your answer important? Jesus knew that it was God who had put that answer in Peter’s mind and on his lips. Peter was a guy who was always willing to speak, but he didn’t always get it right. This time Peter got it right. He had never said a more true statement in all of His life. Describe a time when God showed you a huge truth, either through a sermon or by reading the Bible, etc. What was the truth? How did you feel when you shared it with someone? How does Jesus’ response to Peter in verse 17 encourage you to keep looking to God for help on the big questions in life? In other words, do you think God can reveal things to you the way He did to Peter? Jesus then describes the foundational truth upon which His church would be built. He says to Peter (whose name means “little pebble”) that upon THIS ROCK (the Greek word means “big stone”) I will build my church. 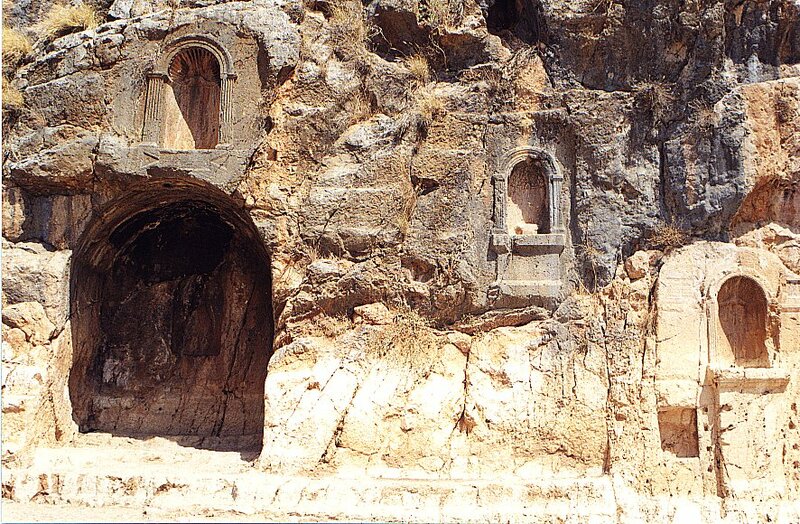 The rock that Jesus is building the church upon is the confession that Peter makes. The church is founded upon this truth: Jesus is the Christ, the Son of the living GOD. Think about the significance of the phrase “Jesus is the Christ.” What does that mean for all of humanity? What does it mean for you? Think about the significance of the phrase “the Son of the living God.” What does that mean for all of humanity? What does it mean for you? Jesus knew that He was more powerful that all of the forces of evil. In another incredible passage of the Bible, Romans 8:31-39, we read of how we are more than conquerors through Christ and how nothing shall separate us from the love of God in Christ Jesus our Lord. And in Ephesians 1:20-23, we are reminded that Jesus is the head of His body, the church. What implications does Matthew 16:18 have for you personally? What implications does Matthew 16:18 have for the church worldwide (all of the followers of Christ)? What implications does Matthew 16:18 have for your local church? Read Romans 8:31-39. What do you learn from this passage? Read Ephesians 1:20-23. What do you learn from this passage? In verse 19, when Jesus talks with Peter about keys to the kingdom, about binding and loosening things, He is simply affirming that those who know the truth of salvation, of who Jesus is, of what the Bible says — those people can teach it with authority. Peter and all of the followers of Jesus throughout history (including you!) have been able to stand firmly on the Word of God for this authority. In verse 20, Jesus says something surprising. He tells the disciples to keep this truth of Him being the Christ a secret. The reason for that was to allow the proper time for all of the events of His arrest, crucifixion and resurrection to unfold right on GOD’s timetable. Truly now Jesus tells us to go to all the world to tell the good news that He is the Christ, the Son of the living God! Think about your life. To whom has GOD sent you to be a witness for Him? How do you share with others that Jesus is not just the “key” to salvation, but He is the only way to salvation? Who is someone you are praying for, that they might place their faith in Jesus the Christ, the Son of the living God, to receive the salvation and eternal life that He offers? In Sunday school we discussed the Genesis reference to man’s dominion over the land and animals but he is NOT to have dominion over himself. A believer is lead, guided, and directed by the Holy Spirit. We are truly alive in Christ and have no higher calling than to make Him known and to share the gospel with whom, wherever, and whenever the Holy Spirit leads us. The Lord knows when we are ready, willing, and able to evangelize. It’s a spiritual high and never gets old.